We feel privilege and pleasure to introduce to you Mack Auraa Animal healthcare Division, a young and innovative Animal Health Company from India, with a vision to become a strong player in the Global Veterinary Industry. Mack Auraa, group of Mack (Equipment division & Animal Healthcare division) – We are a family owned by Mr. Kiran Badgujar MD of Mack Pharmatech Pvt ltd, professionally managed business organization headquartered in Sinnar, Maharashtra, INDIA. Mr. Kiran Badgujar is an young enthusiastic person who has dynamic interest in care of animals and so diverted his vision in to animal healthcare products i.e. Mack Auraa Animal Healthcare Division for bettering the lives. Mack Auraa Animal Healthcare Division is an accredited provider of innovative and high quality animal health care products and feed supplements. 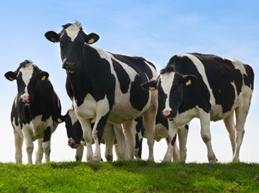 At Mack Auraa we understand the requirements of animal production and feed industries, we identify new opportunities, create sustainable solutions, deliver benefits and continuously try to improve the economics of livestock farming. To provide India up-to-date & the best products that India needs for the progress and to set MACK AURAA as an exceptional Example in sales & after sales services. To keep an eye on the world scenario. To be hyper sensitive to the changing technologies. To stay connected around the globe. To update India about the changing technologies. To focus on the after sales services. To make organizations realise their requirements. To be swift in providing products and the services. MACK AURAA focuses on integrity & reliability, like the parent company ‘MACK PHARMATECH PVT. LTD.’ does, and Mr. Kiran Badgujar always ensures the same. MACK AURAA DRUGS, with his customer Focused nature, humble personality strong flair in commercial background; he made it up to the director level. 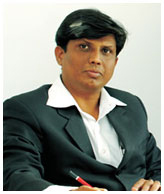 His passion towards innovation in Pharma sales & marketing has only flourished to add value in healthcare business.